This website is dedicated to the fallen liberators of WWII. Since a long timeI have certain sentiments with the history of WWII. My family experienced this war, so there has always been some interest in WWII History. These sentiments have grown stronger when I grew up and realized how important it is to keep the memory alive of all those brave men who fought and died for our freedom. In 2005 I had the opportunity to meet British, American, and Canadian veterans from WWII. I was also honored for meeting some liberators of my hometown ‘s-Hertogenbosch. After all these experiences, I wanted to do something in return. I found out about the adoption program at the US cemeteries here in Europe. I decided to adopt 25 graves of US soldiers who fought and died for our freedom. 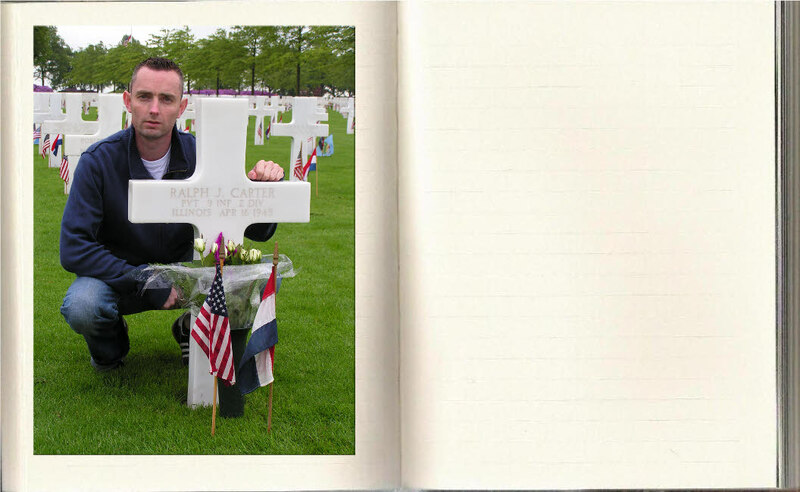 I have adopted 5 graves at the U.S. cemetery and memorial Margraten (NL), 10 graves at the U.S. cemetery and memorial Ardennes (BE) and 10 graves at the U.S. cemetery and memorial Henri-Chapelle (BE). On this website you learn about the men who gave to ultimate sacrifice for our freedom. They should never be forgotten, you can see the Faces Beyond their Graves.